Since our beginning in 1983, some things haven’t changed. 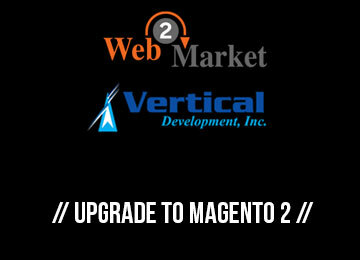 These include Vertical Development’s commitment to customized solutions which meet clients’ needs, our unmatched support, and our ability to evolve with the industry as it evolves. But much else has changed. 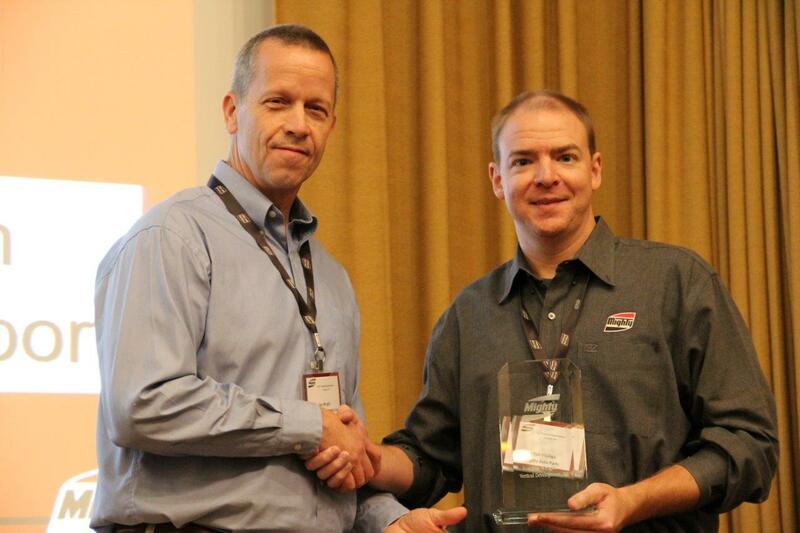 Vertical Development earned Mighty Distributing’s “Excellence in Service and Support Award” for helping them provide better parts information to their franchisees and customers. This award represents efforts made through a partnership spanning over 15 years as Vertical Development has helped Mighty deliver unparalleled support for their franchisees and customers. 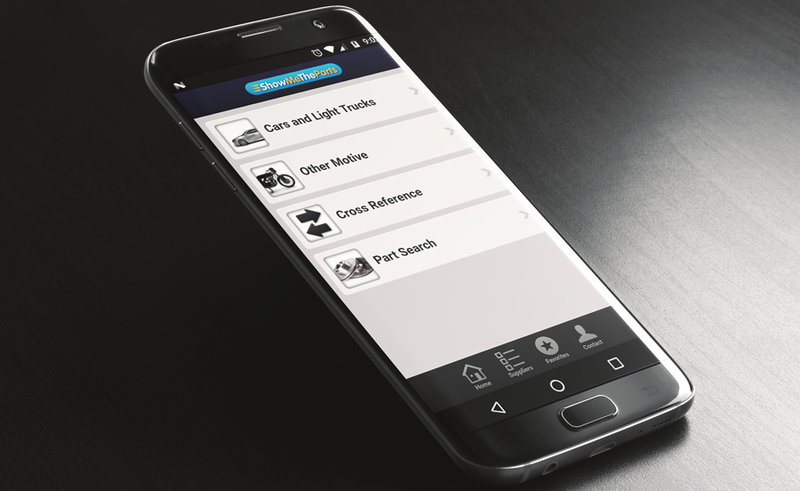 ShowMeTheParts provides Mighty with multiple solutions to deliver detailed parts information to their customers. When Mighty Distributing System of America needed help, they turned to Vertical Development to manage their catalog system. As Mighty has developed their business, Vertical Development has been with them each step of the way, helping them transition to the digital age and build their support network. To recognize this exemplary service, Mighty gave Vertical Development their 2016-2017 Excellence in Service Award. The Daily Herald Business Ledger — in its article “Naperville firm finds the right piece for auto parts market” by Richard Klicki — features the history and offerings of Vertical Development and ShowMeTheParts. 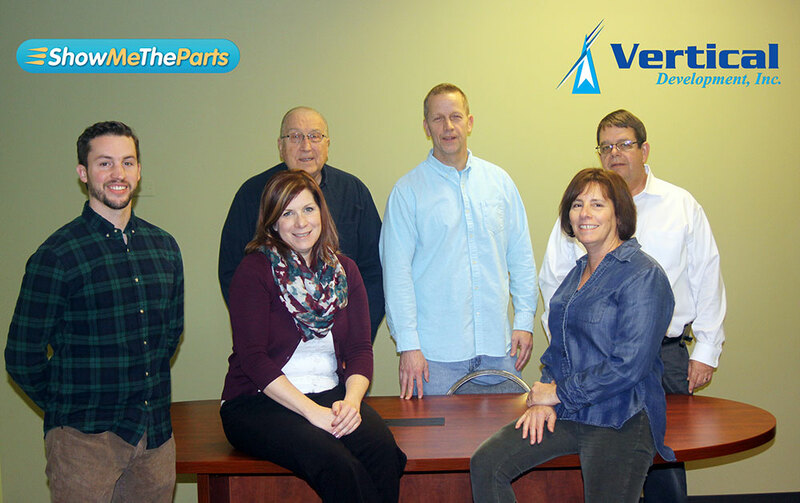 The article provides a clear snapshot of how a software company started in 1983 by the Vertical Development Inc. president, Jay Wright, ultimately evolved into a present-day aftermarket parts success story. 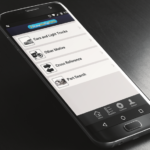 “Wright said the database is also the platform for future growth, as the company plans to develop microsites for specific parts, such as brakes, filters or exhaust parts. The microsites will also allow a client to order a part from online sites, such as Amazon.com, for a timely delivery. 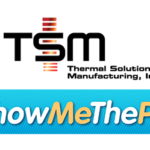 ShowMeTheParts may get the most attention due to its position as the largest public parts database in the world, but that doesn’t mean we’ve left our other products behind. Our entire system from paper to e-catalog publishing is constantly being updated and expanded to meet the needs of our customers. We’ve decided to run this new blog series to show you some of the new features we’ve been working on. 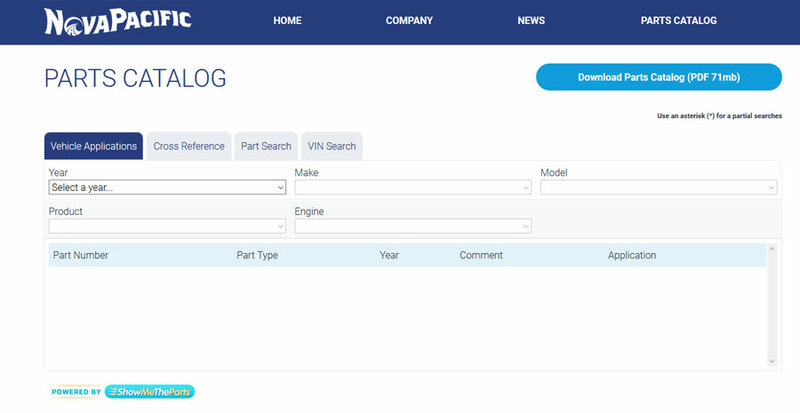 If you’ve worked around parts catalogs, you’re familiar with the Vehicle Configuration Database (VCdb.) 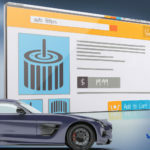 This relational database is used in ACES to handle vehicle information including the year, make, model, trim and other attributes to correctly identify applications. Since the beginning, our catalog system has been set up to allow our clients to add their own entries, letting them expand the scope of VCdb well past standard vehicles. 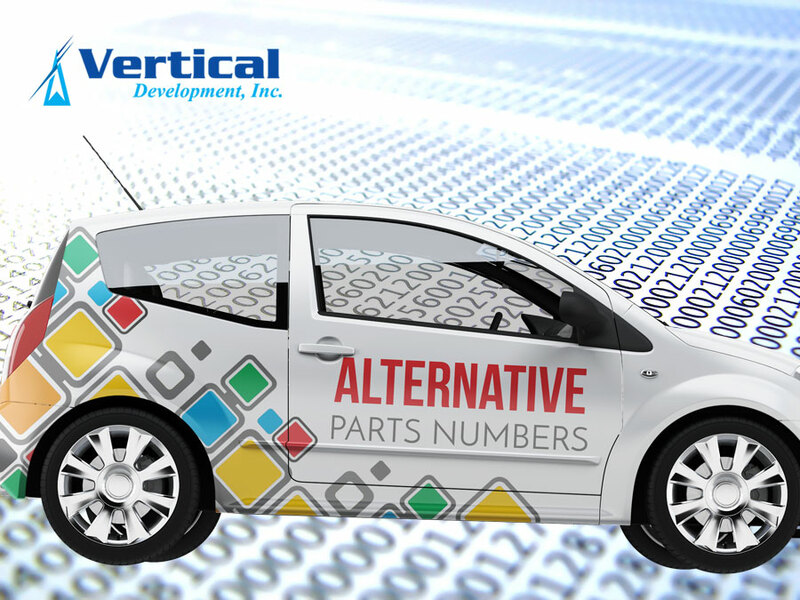 We may be famous today for our massive ShowMeTheParts database, but Vertical Development has been a leader in aftermarket parts catalog publishing for over 30 years, developing mapping and publishing software to fit the needs of a wide range of clients. In this series, we want to highlight some new features we’re bringing to our catalog system. 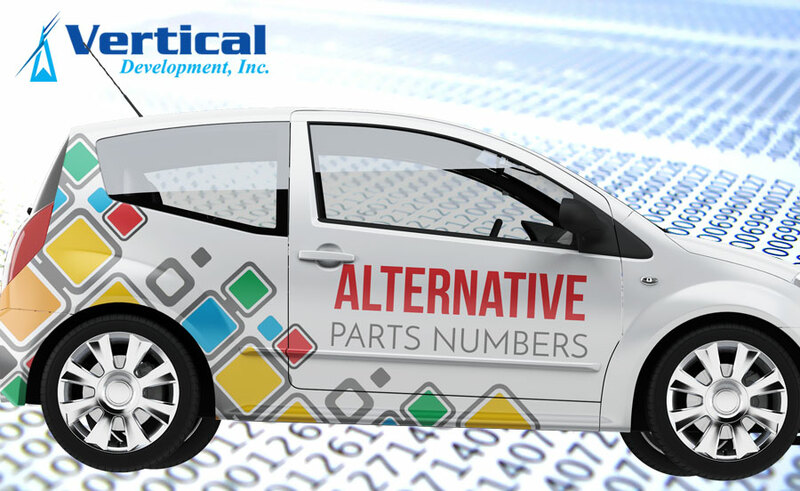 This time, we’re taking a look at alternative part numbers. There are a lot of variations of parts out there. For brake pads, a company might offer standard, heavy duty and high performance pads. A suspension company may offer rubber and polyurethane versions of a bushing, standard and heavy duty springs, and a variety of shock and strut options built to fit different ride characteristics. Shopped for an oil filter lately? Those come in different ranges, too, offering different levels of filtration to fit a variety of oil change intervals. This range of options means each application may have several compatible variants. We are excited to announce our 30th year in operations. Based in the greater Chicago area, Vertical Development got its start as a small programming firm, but we soon shifted gears to digital catalog development when contracting with Champion Laboratories in neighboring Albion, Illinois. 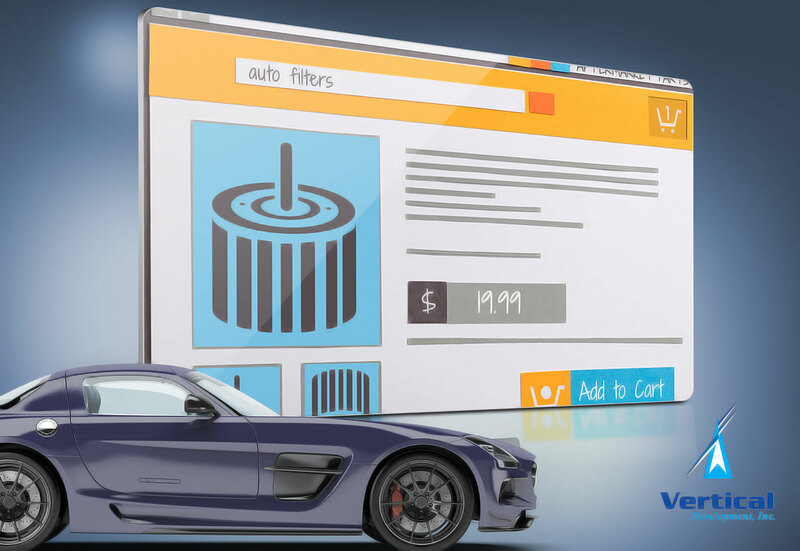 Today, we are an award-winning technology development firm providing digital catalog software and services to more than 300 aftermarket brands. 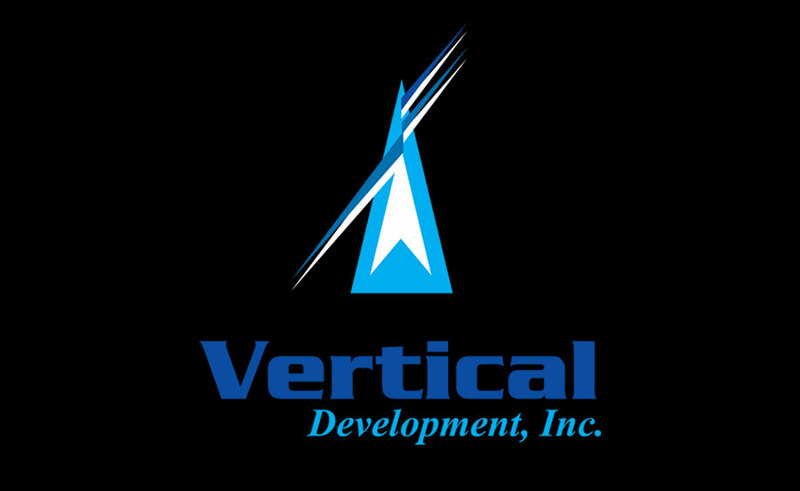 Since 1987, Vertical Development has worked with aftermarket companies to first understand their business needs and then, develop solutions to better streamline processes, increase efficiencies, and ensure industry compliance. Each year, we take those learnings and create a development roadmap for future product upgrades and industry innovations. Last year, we announced significant upgrades to our catalog software and systems including near real-time inventory management and stock status updates, a direct result of feedback and feature requests from clients. 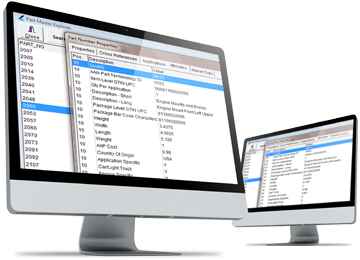 Over the last seven years we have been standardizing our vCat application, allowing us to add features and roll them out to our clients quickly. 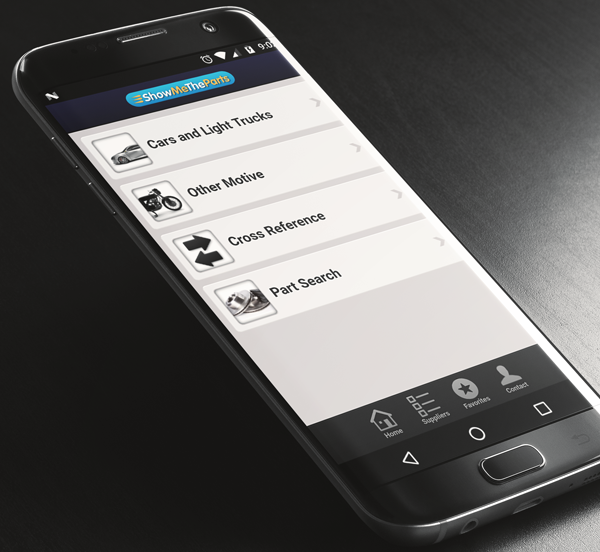 We have grown from a software provider to full service catalog services organization and will continue to operate on the cutting edge of technology to bring state-of-the-art aftermarket catalogs to our clients.